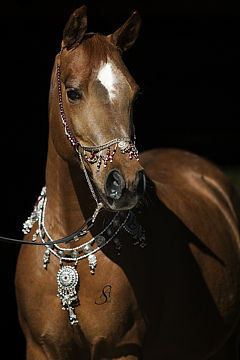 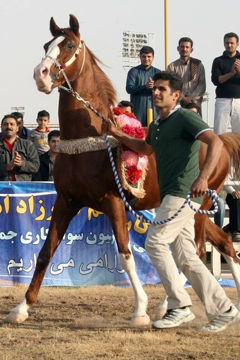 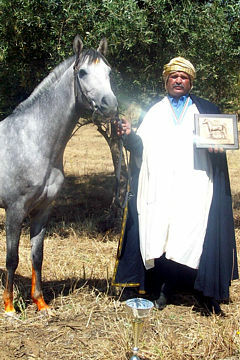 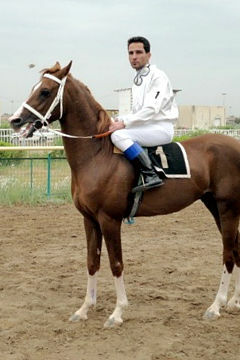 GHID, Chestnut stallion, *1999 (Cygaj / 756 Ibn Galal 7). 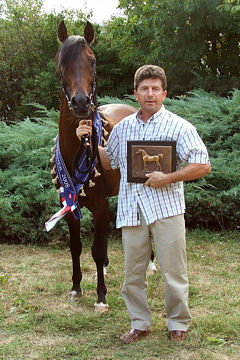 Breeder and Owner: Mangalia Stud Farm, National Forests Administration, Romsilva. 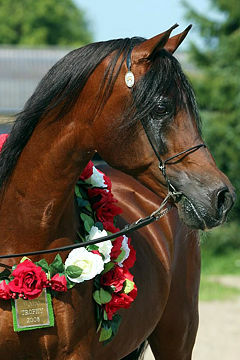 Strain: Obayan (212 Delilah, 1893). 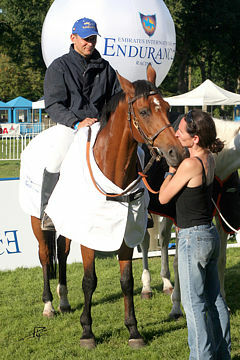 Trophy presentation photo: Left to right, representing The Romanian Association of Arabian Horse Breeders and Owners, the Romanian National Horse Authority, Romsilva and Mangalia Stud Farm: Dr. Monica Duta; Mr. Avram Gheorghe; Mrs. Petrica Tureac; Dr. Adrian Duta; Mr. Antal Istvan Janos; Vet.Dr. 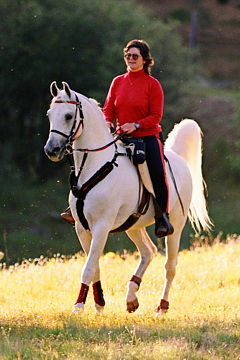 Stretean Nicolae; Ms. Ciutacu Otilia; Dr. Grigor Romeo. 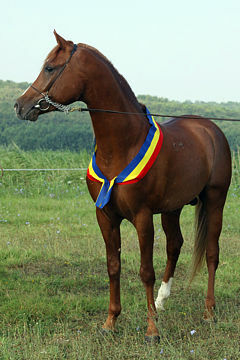 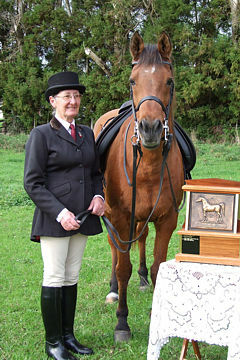 The National Horse Authority of Romania is pleased to announce that the 10-year old chestnut stallion GHID has been awarded their 2008 WAHO Trophy. 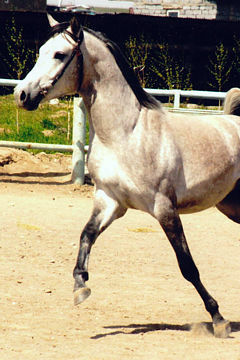 This attractive stallion has particularly good movement, and an excellent character. 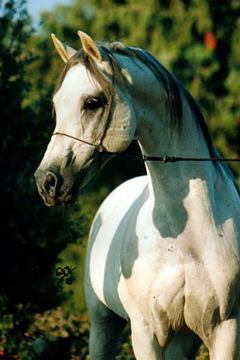 His damline, one of the oldest and most important at Mangalia Stud, traces to the desert-bred Obayah mare, 212 Delilah, born in 1893, who was imported to Babolna Stud in Hungary in 1902. 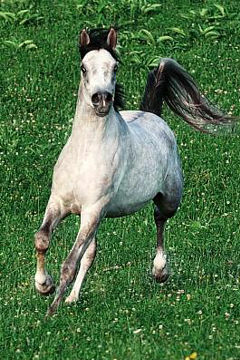 Her daughter 4 Hadban I-7, born 1907, was imported from Hungary to Mangalia Stud in Romania in 1919 where she left many descendants. 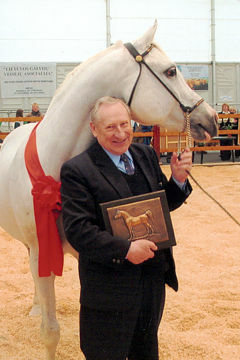 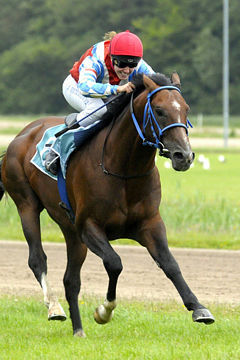 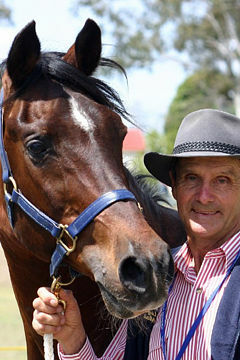 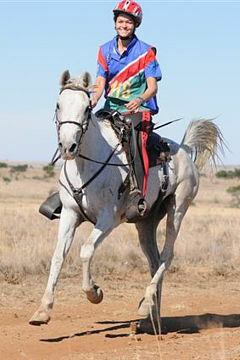 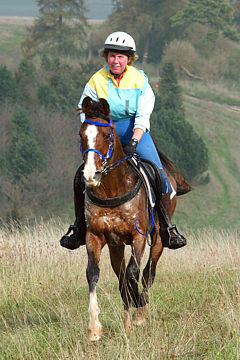 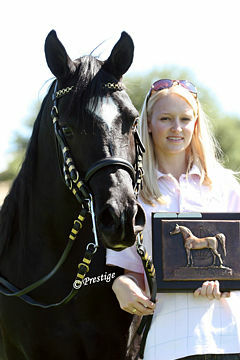 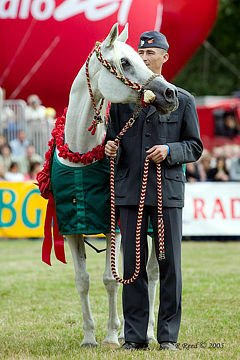 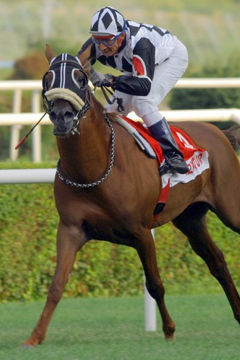 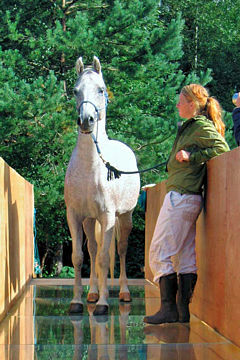 Ghid will stand at stud at Mangalia Stud Farm for the 2009 breeding season. 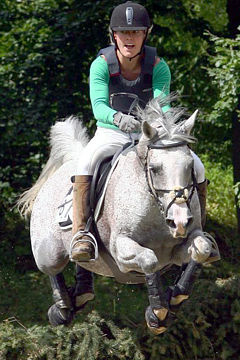 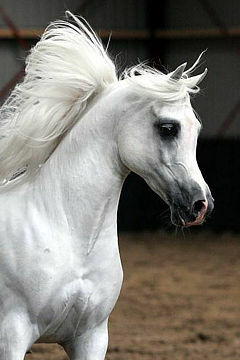 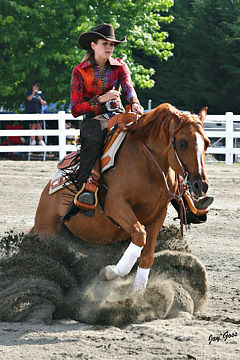 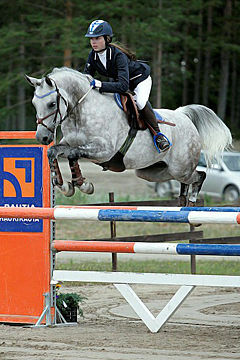 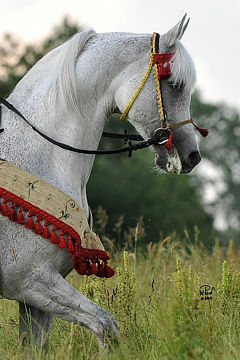 He is considered the best son, until now, of the imported Polish stallion, Cygaj. 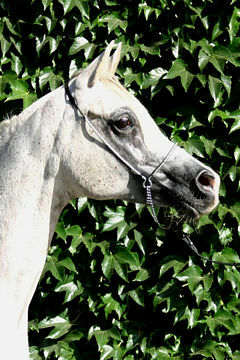 So far Ghid has covered some private mares and his foals have inherited his best qualities. 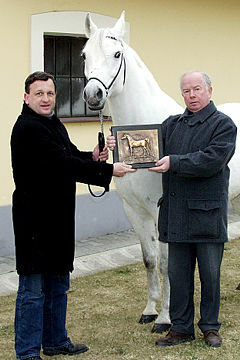 Ghid with Mr. Antal Istvan Janos.